WBC heavyweight champion Deontay Wilder and challenger Tyson Fury will face each other on December 1 at the Staples Center in Los Angeles. Wilder, unbeaten in his 40 fights (39 wins by KO), has held the WBC title since January 2015 and has successfully defended it seven times, the last of which was against previously undefeated Cuban Luis Ortiz. For his part, Fury, former world champion, returned to the ring, after almost three years without fighting due to personal problems, but in his last fights, he has shown that he is up to the task of facing quality champion Deontay. The Brit also has an unbeaten record with 27 wins, 19 of them by knockout. 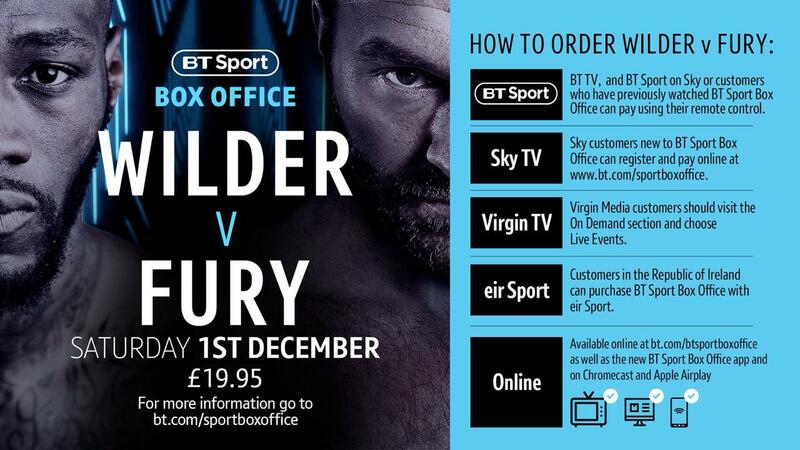 Wilder v Fury is live on BT Sport in the UK and Showtime PPV in the USA. Main Event will broadcast in Australia, whilst RPC Channel 4 take the reigns in Panama.